According to National Association of Software and Services Companies (NASSCOM), Gujarat is set to drive the IT growth in the next decade with its improved IT infrastructure and education. 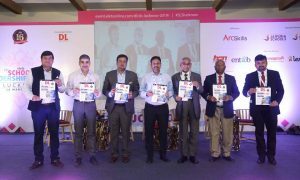 According to Som Mittal, President of the IT industry body, while currently six cities including Mumbai, Delhi, Chennai, Hyderabad, Bangalore and Pune form 90 per cent of total IT industry, newer cities like Ahmedabad, Jaipur, Mysore and Chandigarh will drive it in the next decade. It was at Vibrant Gujarat IT Summit organised by Gujarat Informatics Limited, Department of Science and Technology, Government of Gujarat along with NASSCOM and Industrial Extension Bureau that Mittal described that he believes that 40 per cent of IT services work happening from outside of these six cities, including Ahmedabad. Suggesting steps to grow further as an IT hub in the next decade, Mittal said that Gujarat can help small companies emerging out of the state to grow as well as attract large companies from outside. A group of 54 engineering students from Chennai has designed a 10-kg nano satellite to monitor greenhouse gases (GHG) that the Indian space agency is planning to launch in April. The students from the SRM University have been working on the project 'SRMSAT' since 2008. The satellite is being developed under the guidance of the Indian Space Research Organization (ISRO) at a cost of Rs.1Crore. With climate change becoming a cause of serious concern globally, the satellite will monitor GHG – mainly carbon dioxide – in the atmosphere. A grating spectrometer is employed for monitoring earth-based sources and sinks of anthropogenic and natural sources of GHG. “The satellite is scheduled for launch in April this year with ISRO's Megatropics G satellite. We have signed a memorandum of understanding (MOU) with the national space agency for the project,” M. Loganathan, former ISRO scientist who is heading the team, said here. The proposed TV channel seeks to target school students of 5-18 years apart from open education students and “neo adult literates”, an HRD Ministry official said. The NCERT, which will be the nodal agency for this channel, on Monday made a presentation in this regard at a meeting of Central and state regulatory institutions in school education. The meeting was chaired by Union HRD Minister Kapil Sibal. Indira Gandhi National Open University (IGNOU) and the National Institute of Open Schooling (NIOS) will collaborate with NCERT in the unlinking of the channel. The channel is expected to be instrumental in the process of teachers' training, which has acquired greater urgency with the Right to Education (RTE) Act coming into effect last year. The norms outlined by RTE require massive recruitment of teachers at school level and regular training for them During the meeting, Sibal suggested that an institution framework consisting of the NCERT and State Councils of Educational Research and Training be set up, a ministry official said. 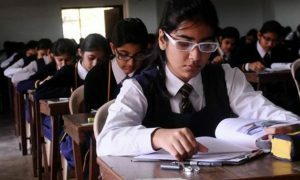 “This framework, could include the CBSE, COBSE and NCTE as invitees, and would be a mechanism for coordination, for continuous flow of information and for dialogue, the focus being on improving quality of education throughout the country,” the official quoted the minister as saying. “The flexibility shown by the Indian economy during the world-wide recession reflects its development on the economic management of the country and the growing competitiveness of our enterprise,” said Union Finance minister Pranab Mukherjee at the inaugural session of the Second International Finance Conference organized by the Indian Institute of Management-Calcutta (IIMC) in Kolkata on Monday. The overall GDP growth of 8.9 per cent in the first half of 2010-11 takes India back on a high growth path that the economy was negotiating on in the years prior to the crisis. However, concern on inflation remains, he also added. Mentioning that India's growth momentum, to some extent, is affected by the developments in the western world, he said that a faster recovery in the west will benefit all. He said that government has accorded high importance to financial inclusion as it is a key determinant of sustainable and inclusive growth.